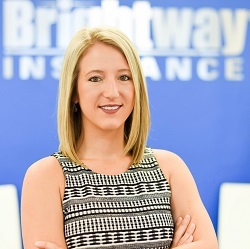 When it comes to buying insurance, Brightway, The Seuffert Agency, is your source for more choices and better service. Whether you’re looking for a competitive rate for Homeowners insurance or need help determining the right amount of auto coverage, you’ll receive personal attention from industry experts committed to your satisfaction. If we can answer any questions about Home, Auto, Flood or other types of insurance, give us a call or send us an email. 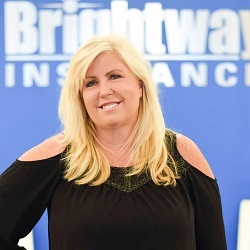 Char Seuffert is the marketing director for Brightway – Seuffert Agency, and is extremely excited about Brightway and the choices it provides for their customers. Char has always believed that true customer service, options and a positive attitude are the keys to a winning company and could not be more excited about the Brightway opportunity. Char is a 22 year real estate veteran and the recipient of numerous industry awards, including the prestigious RE/MAX Hall of Fame award. As a long-term Realtor and having walked side by side with her clients through many catastrophic events, (most recently Hurricane Irma), Char is acutely aware of the dangers of not having the correct insurance in place. She is very excited to share some new exciting coverages such as Cat4 policies – extremely affordable riders that can pay and eliminate your hurricane deductibles. Char grew up in South Africa and moved to Cape Coral in 1983. After moving with her husband Eric during his Air Force career and living all over the world, she is glad to be back home in beautiful Cape Coral. Char is heavily involved with Veteran Outreach, anything and everything to help with children, and looks forward to contributing more towards making our local community a better and stronger one. 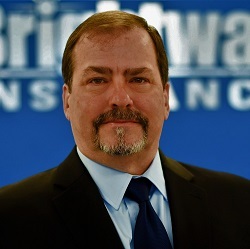 Eric Seuffert is the owner of Brightway – Seuffert Agency located in beautiful Cape Coral FL and servicing all of Florida. Eric went to Cape Coral High School, studied at the Community College of the Air Force in Montgomery, Ala., and went on to earn a Master of Business Administration from the University of Phoenix in Phoenix, Ariz. He spent more than 20 years in the mortgage industry and held numerous leadership positions within the Banking and Real Estate industries. He also proudly served 14 years in the U.S. Air Force and was an Instructor at Fort Myers Technical College. Eric and his wife of almost 30 years reside in Cape Coral and have two adult children, Kristi and Chase. Eric is a member of the Advisory Committee for Fort Myers Technical College and also serves the local community through the Veterans of Foreign Wars, American Legion and Cape Coral Sail and Power Squadron. When he is not working and volunteering, Eric loves to boat and travel. As a Brightway Store Owner, he looks forward to serving the Cape Coral community and is excited to share Brightway's Win-Win-Win (Win3) mandate with his neighbors. The Seuffert Agency is located at 900 SW Pine Island Road, Suite 103 in Cape Coral (in the same plaza as Bonefish Grill). The store offers customized Home, Condo, Renters, Auto, Flood, RV, Motorcycle, Boat, ATV, Life and Umbrella insurance policies from numerous insurance brands including Bankers, Olympus, Progressive, Tower Hill and Southern Oak. Karyn was born in Fort Lauderdale and moved to Cape Coral in 2002. She started working in the insurance industry fresh out of high school and has loved it from day one. Karyn came to Brightway with 33 years of experience as insurance agent, customer service representative and accounts receivables and accounts payables professional. She holds a General Lines Property & Casualty license, as well as a Life and Health license.